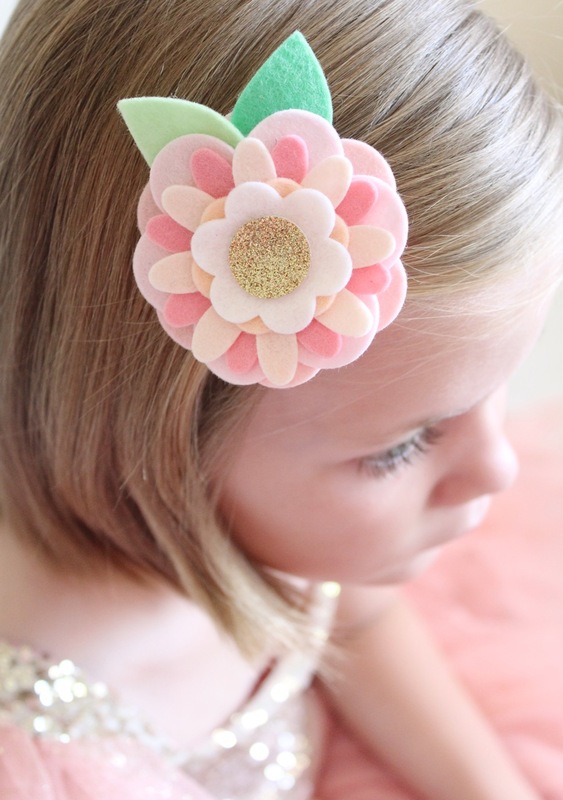 Hi all, it's Lauren from Molly and Mama again, and I'm sharing the prettiest little felt flower hair clip tutorial today! 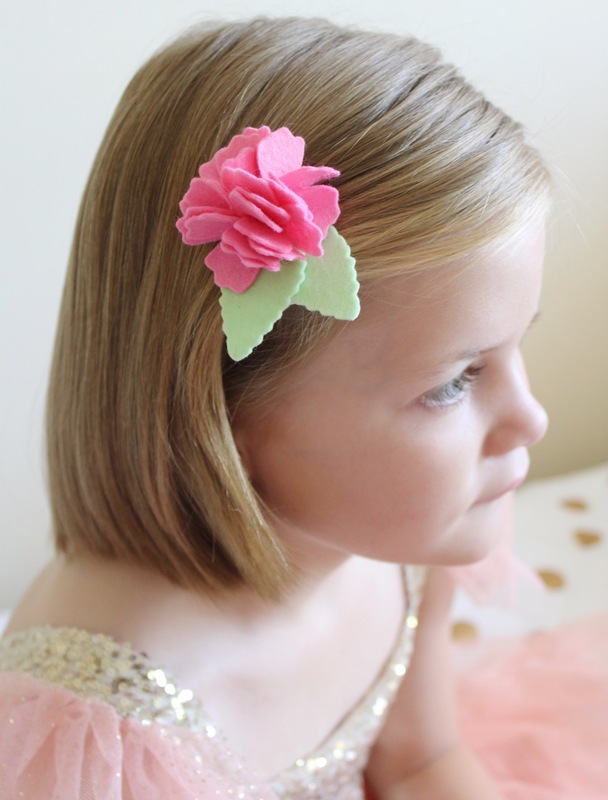 Hair accessories are so quick to make. But add a Big Shot Plus Machine and some flower dies and you can make these felt flower hair clips in no time at all. 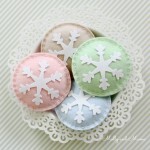 They make perfect gifts, great party favours and lovely Christmas stocking stuffers. 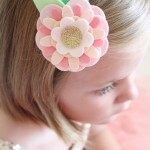 Today I'll show you how to make two beautiful but simple types of flower hair clips, the Calliope Flower and the Layered Flower. 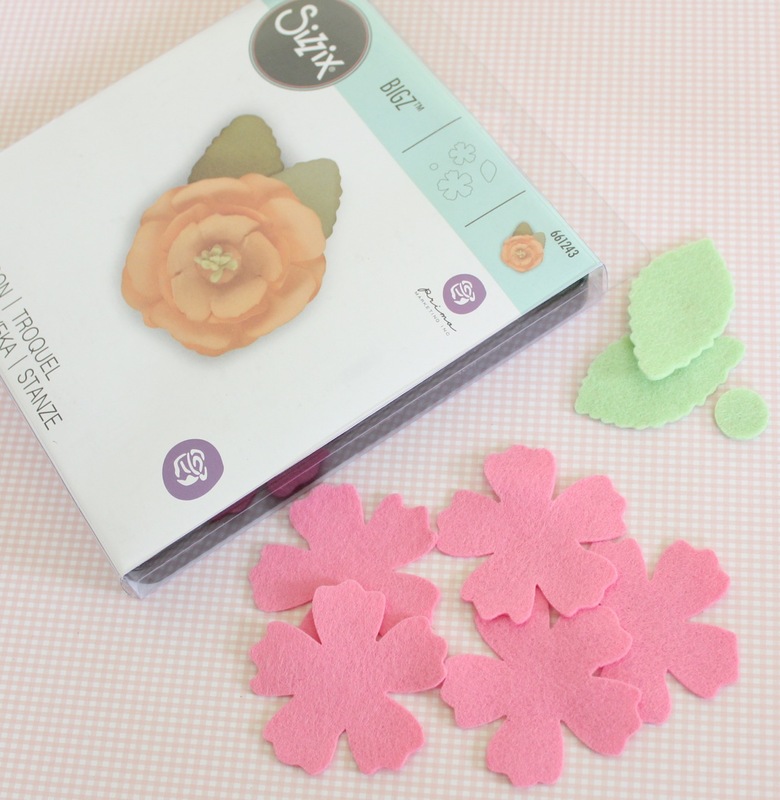 Use different coloured felt scraps to cut two of each of the different flower shapes in the Flower Layers & Leaves Bigz Die (#657690). 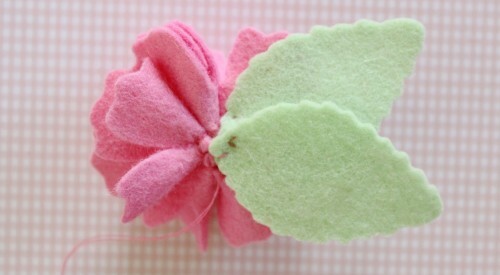 Cut one large and medium leaf, each in different coloured green felt. 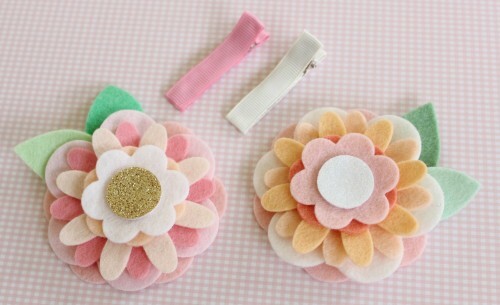 Cut a circle for the centre of the flower in glitter felt. 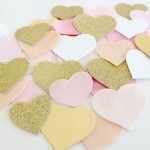 Or cut a range of felt in different colours and shapes like I did. Play around with different combinations of felt colours to make a layered felt flower that has two large flowers on the base, two medium flowers in the middle and two smaller flowers on the top. Adjust the arrangement of the petals so that each of the flowers can be seen. Thread a needle with a double length of coordinating thread and knot the end (I used contrasting thread so that you could see the stitching more clearly). Stitch the flowers together by sewing a series of small, fine stitches in the very centre of the flower shape. 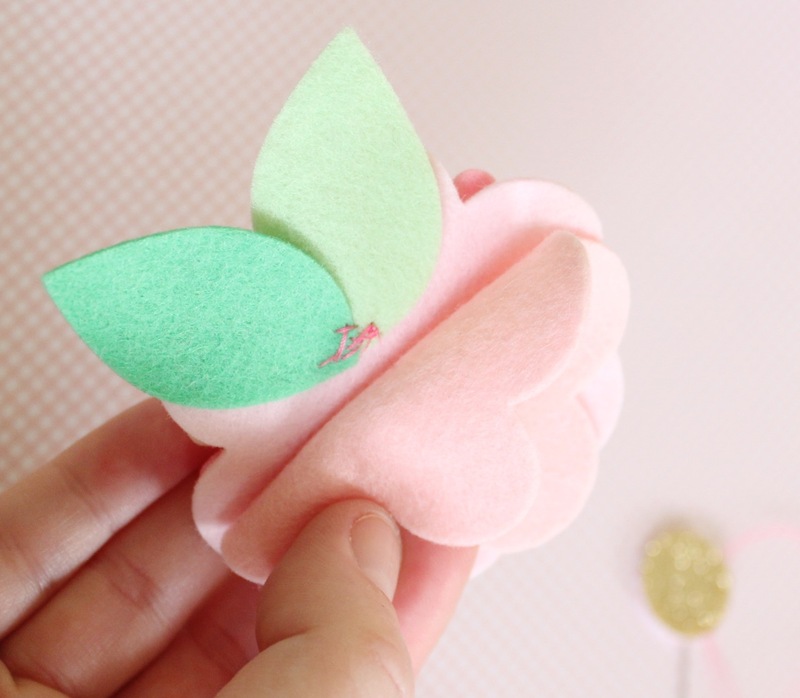 Sew two different coloured and sized leaves onto the bottom of the second last large flower (that way you won't see the stitching on the back of the flower). Use your glue gun to secure the glitter circle over the centre of the top of the flower (to disguise your stitching). 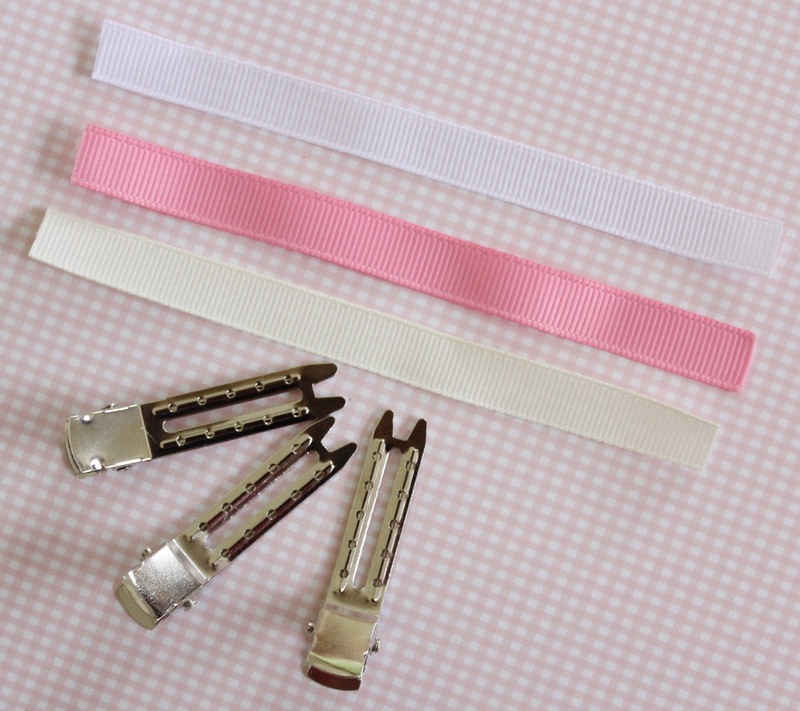 Cover the alligator clip with 12cm of grosgrain ribbon, using your hot glue gun. 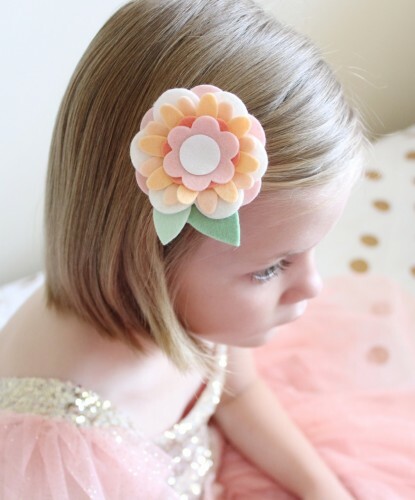 For more information about covering hair clips, head to this detailed step-by-step tutorial on the Molly and Mama blog. 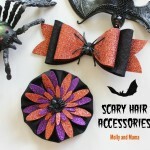 Run a small line of hot glue along the length of the top of the covered hair clip. 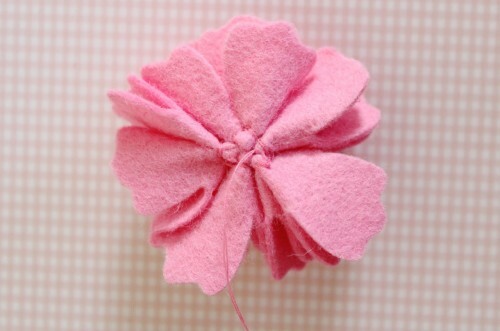 Turn it over and attach it to the back of the felt flower. How quick and easy was that? 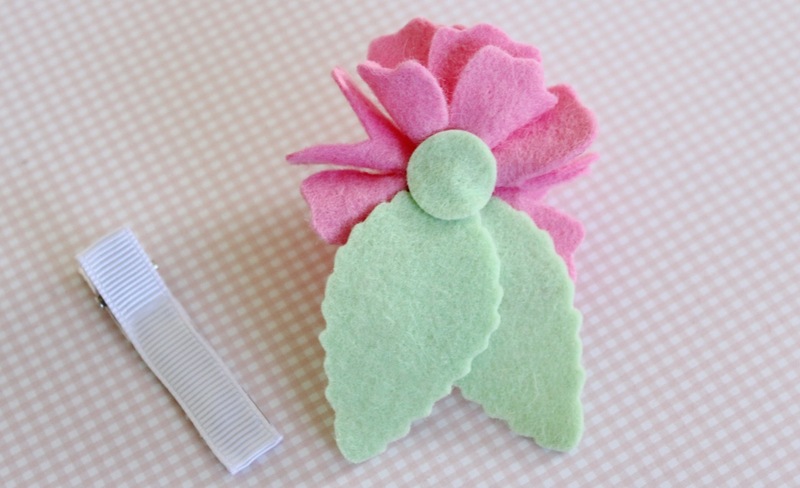 Your layered flower clip is all finished. 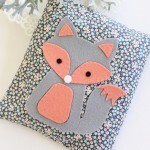 You'll be making lots of them in no time! 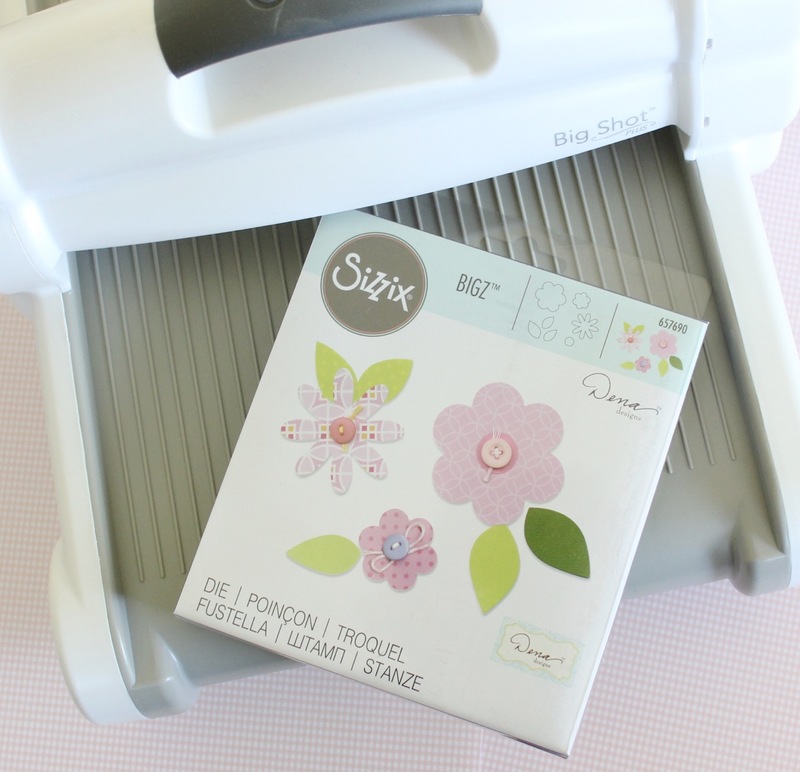 Using the Calliope Bigz Die (#661243) cut five of the smaller flower shapes, two of the leaves and one of the circles. 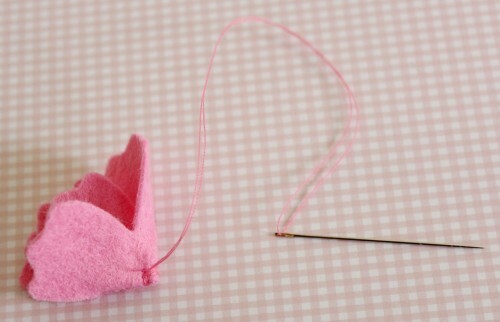 Thread a needle with a double length of thread and knot one end. Fold one of the flower shapes in half, and then in half again. Use the needle and thread to sew a few small stitches at the folded point to make the flower into a dimensional shape. Do this for all five flower pieces. 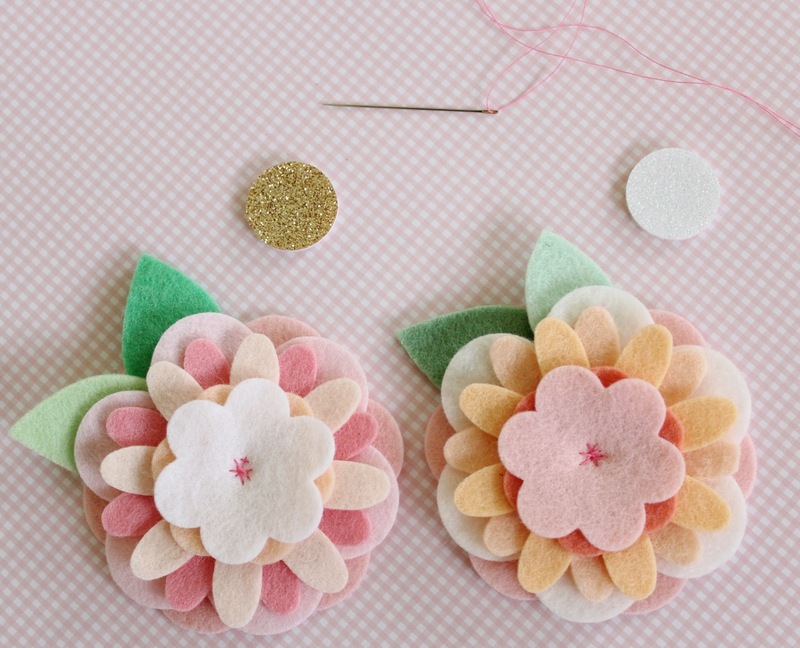 Join the flower pieces by sewing all the points together in a neat little bundle. Overlap and stitch two leaves to the centre back of the flower. 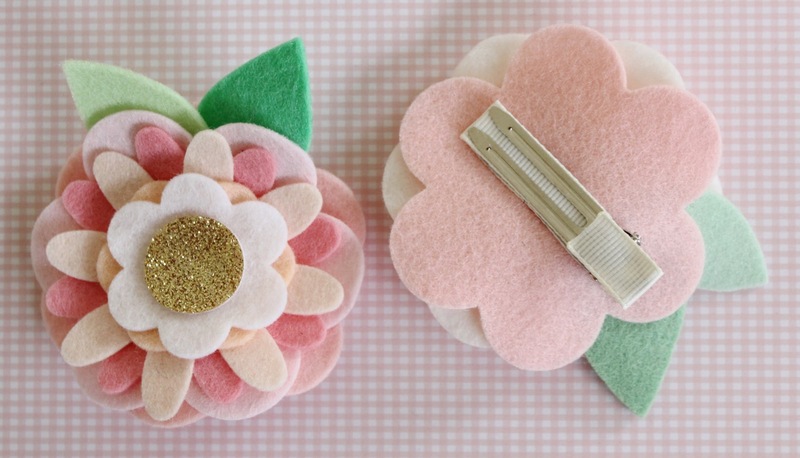 Use a hot glue gun to cover your stitching with the small felt circle. 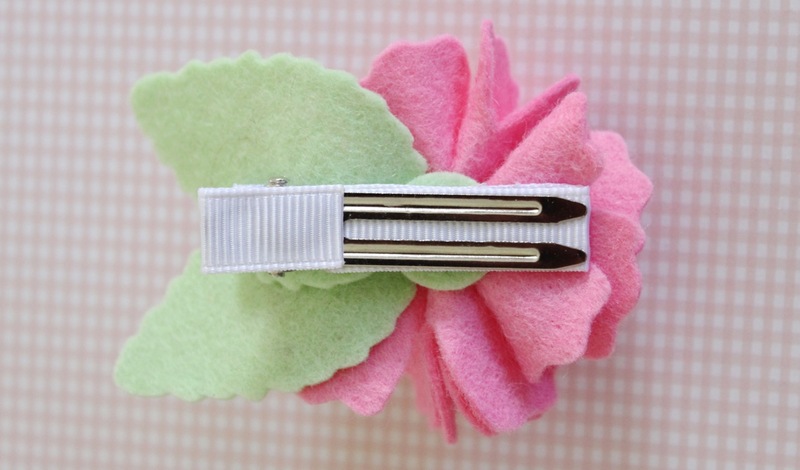 Cover a 48mm alligator hair clip with a 12cm length of grosgrain ribbon. 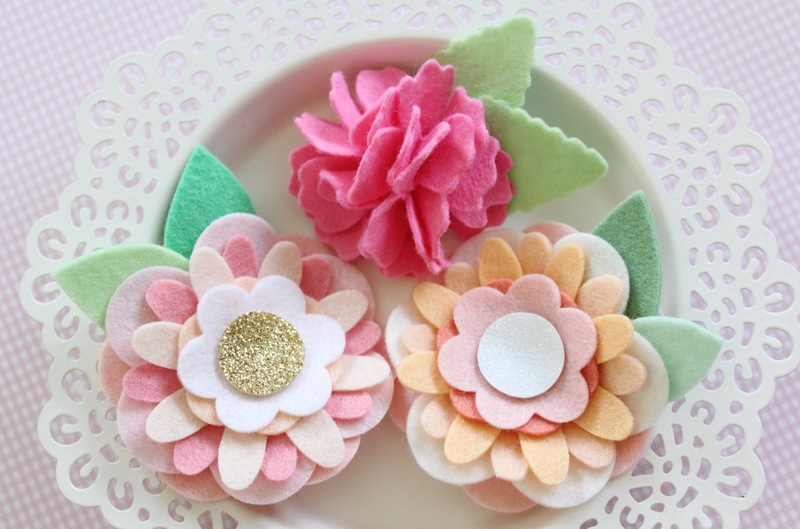 Use this step-by-step tutorial on the Molly and Mama blog. 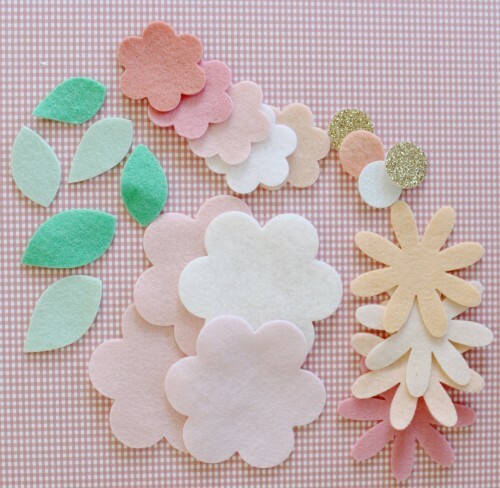 Play around with the position of the flower petals so that they sit nicely. And you're all ready for use. My daughter has already claimed this one! But I know I'll be making more for Christmas. 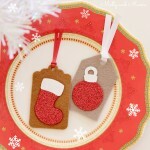 TIP: You might be tempted to try these projects using acrylic craft felt. 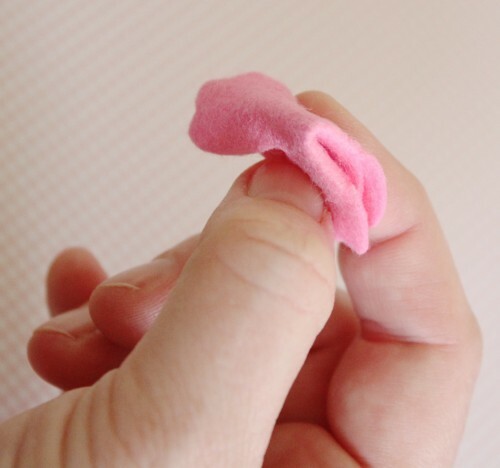 However, this type of felt really isn't suitable for cutting and sewing. It's best to use 100% merino wool felt, or at the very least, a felt that is a wool and rayon blend. 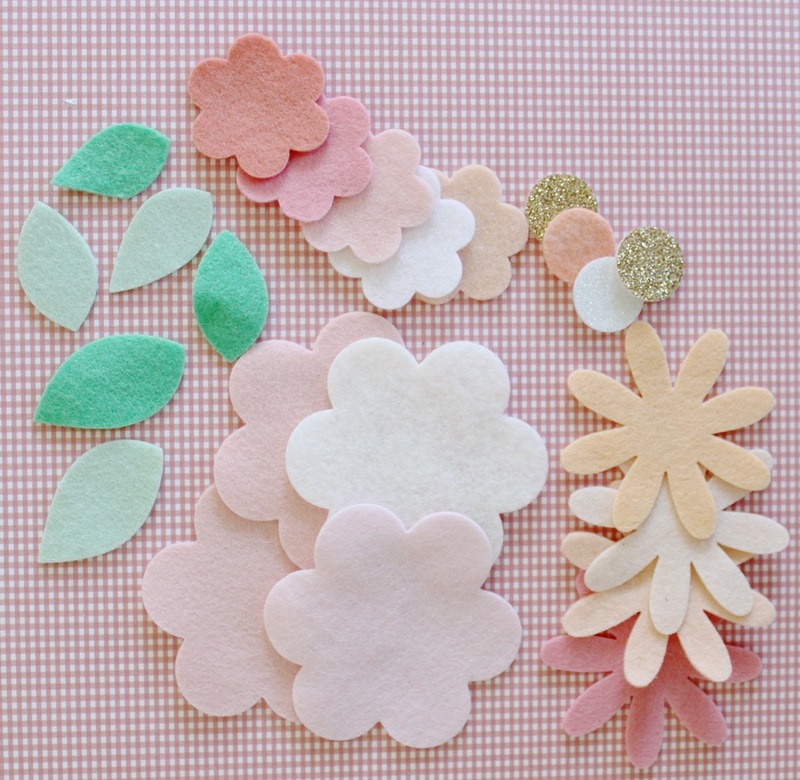 If you'd like to know more tips, there's an excellent post about working with wool felt over on the Molly and Mama blog too. On my post to Hand Sew a Felt Teddy Bear Softee, I also showed you how I made a glitter hair bow using the Bigz Bows Die (#658541). 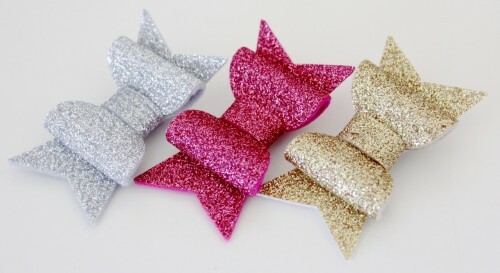 You could also add covered hair clips to the back of these for some sparkly hair fun!